WASHINGTON - The likely next U.S. defense chief predicted on Thursday that Iraq will ask the United States to maintain a presence in that country beyond the end of this year, when American troops are currently scheduled to leave. "It's clear to me Iraq is considering some kind of presence" to remain in the country, contingent on what Iraqi Prime Minister Nouri al-Maliki requests, Leon Panetta told the Senate Armed Services Committee. "I have every confidence that a request like that will be forthcoming." Panetta said there are still about 1,000 al Qaeda insurgents in Iraq, and keeping some troops to support security forces there is a good idea. On a glide path to confirmation, Panetta would replace Defense Secretary Robert Gates, who is retiring June 30 after 4 ½ years in the Bush and Obama administrations. Gates has said he hopes Baghdad asks U.S. troops to stay beyond their scheduled Dec. 31 departure to preserve the relative peace. There currently are about 47,000 U.S. troops in Iraq, none in a declared combat role. They are slated to leave under an agreement worked out in 2008 shortly before President Barack Obama entered the White House. Obama has repeatedly said he intends to carry out the current agreement. Panetta, the current CIA director, received effusive accolades and persistent questions from senators concerned about the initial drawdown of U.S. forces from Afghanistan in July, the stalemate in the Libyan civil war and fiscal pressures on the defense budget. 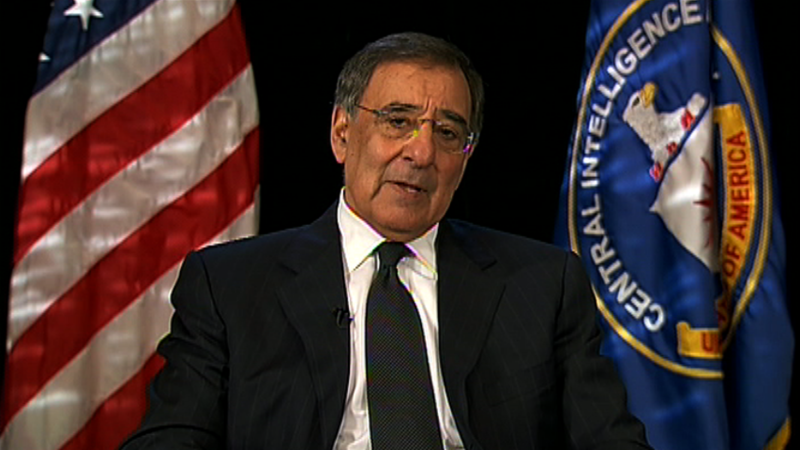 Panetta has been widely praised for the CIA's role in the raid and killing of al Qaeda leader Osama bin Laden. The next defense secretary will oversee the troop withdrawal from Afghanistan, and Panetta said the cut should be based on conditions in the country. Obama, in consultation with Gates and Gen. David Petraeus, will decide on how many of the 100,000 U.S. troops he should withdraw. Panetta said opposition forces in Libya have made gains in the east and west, and Muammar Qaddafi's regime is weakening. He said rebel leaders could maintain continuity in the current if the current ruler is ousted. Panetta said the NATO military operation, strong economic sanctions, and the enforcement of the no-fly zone are putting tremendous pressure on Qaddafi, and that the pressure must continue. If it does, he said he believes Qaddafi will ultimately step down. Republican Sens. Saxby Chambliss and Susan Collins questioned what more must be done to force Qaddafi out, and said the U.S. and its allies must have a plan for Libya once he leaves or chaos will ensue. Panetta agreed, saying U.S. officials, including Secretary of State Hillary Rodham Clinton  who this week has been meeting with international leaders about the Libya conflict  are working on ways to give rebel forces the capabilities they will need if they have to take control of the country. He said he is confident there are enough leaders in the opposition to provide continuity if that transition takes place. Qaddafi has shown no signs of ceding power despite repeated attacks on his compound, government buildings, military radar emplacements and other army installations. On the budget, lawmakers expressed concern about Obama's call to slash another $400 billion over 12 years. Panetta, the former chairman of the House Budget Committee and one-time head of the White House Office of Management and Budget, indicated that those cuts would not be limited to the military and would extend to homeland security, intelligence and the State Department. In the far-ranging hearing, Panetta said his top priority was the troops, pointing out that his youngest son Jim served in Afghanistan and received the Bronze Star. He described himself as the son of Italian immigrants always mindful of his father's words that "to be free, you have to be secure." Focusing on the challenges for the next defense secretary, Panetta said, "We are no longer in the Cold War. This is more like a blizzard war."